As an international benchmark for creative packaging, and an unparalleled showcase for creativity, design and innovation, Luxe Pack Shanghai will celebrate its 10th anniversary on April 12&13, 2017, at Shanghai Exhibition Centre. Packaging innovation has always been at the show’s forefront, and this year is no exception! In this rapidly evolving country, the need for creativity, differentiation and innovation in packaging is boosting! Through the common thread “Culture allied to new technologies”, Luxe Pack Shanghai 2017 will present new technologies and exclusive packaging insights, explore market’s upcoming trends and source solutions for integrating today’s technical challenges. This common thread will run through the two days of the exhibition, by way of conferences and events, as well as permeating the stands. A full experience for this unique boutique-like show in Asia! Traditionally excelling in artisanal production skills, China has always been a country rich of technical know-how; and at the same time, Chinese brands are more than ever, in search of uniqueness, new techniques, and original packaging ideas. 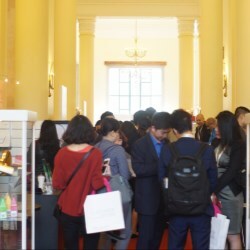 Through its common thread: “Culture allied to new technologies”, Luxe Pack Shanghai 2017 will offer visitors, specific areas and live demonstrations from exhibitors known for their expertise, as well as cutting-edge debates, thus providing a vision of how packaging can evolve to become more creative, smart or providing new uses or experiences. Without forgetting the wealth’s of the country’s culture. 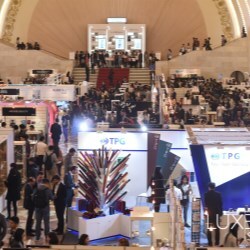 A new and forward-looking area dedicated to technical advancement transforming the luxury industry, shedding light on exhibitors’ know-how and expertise on new technologies applied to packaging: connected solutions, augmented reality, 3D printing, digital printing, authentication and traceability systems….Luxe Pack Shanghai will not only spotlight digital solutions but also provide visitors with real digital experiences. For the first time, Luxe Pack is bringing to the show, the "Innovation Wall", offering instant visual access to exhibitors’ latest achievements of all realms and materials! An opportunity to capture new solutions and inspiration all in one snap shot! A part of this Innovation Wall will be dedicated to sustainable innovations and responsible initiatives that compete to the Luxe Pack in green Award. The “Innovation Wall” is definitely an exclusive opportunity for exhibitors to showcase their latest developments to meet the brands’ and consumers’ demands. Following its success debut in Shanghai last year, the Luxe Pack Trends Incubator proved to show and experience the future packaging trends in China. 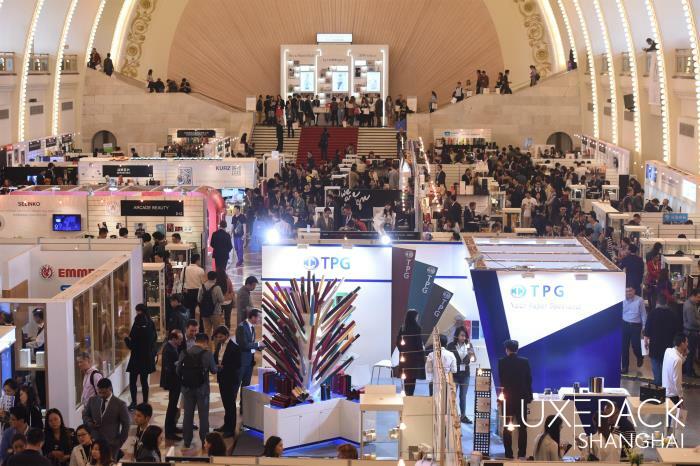 Through this year’s common thread, and in partnership with Centdegres agency, the Luxe Pack trends incubator will present a key to the future: the successful encounter of Chinese legacy, global trends and new leading market segments. Many exhibitors already confirmed, of which some have been exhibiting for almost 10 years! Many packaging specialists have already confirmed their presence for the 2017 show, of which some loyal exhibitorshave participated to almost all the editions; they are the leading players of the industry and representing the pinnacle of creativity and top quality : Betc Design, Centdegres, Dongguan City Jingli Can, Dongguan Mingfeng Packaging Manufacturer Co., Ltd., Elcos (Suzhou) Co., Ltd, Euro Cosmetic Asia, Fedrigoni Asia, Fifield (Asia) Limited, IDP, James Cropper, Shanghai Jingzhi Gift Packaging, Shanghai Tobacco (Shanghai Jinding Printing Business), SR Packaging, Starlite Printers Ltd, Win Label Printing (Shanghai) Co., Ltd, Winter & Company…and more. Luxe Pack Shanghai is proud to congratulate them this year with a “Loyalty Certification”, on the occasion of a Special Evening Party. Once again in 2017, Luxe Pack Shanghai will be the not-to-be missed platform where packaging suppliers meet premium brands’ decision makers. Showcasing through its common thread how to mix tradition and new technologies in packaging will provide a new vision on packaging innovation and experience in Asia. 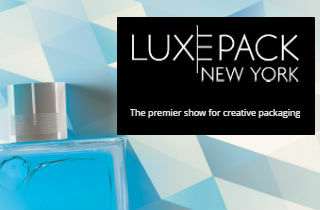 A 10thedition of Luxe Pack Shanghai as a leading business event for creative packaging!